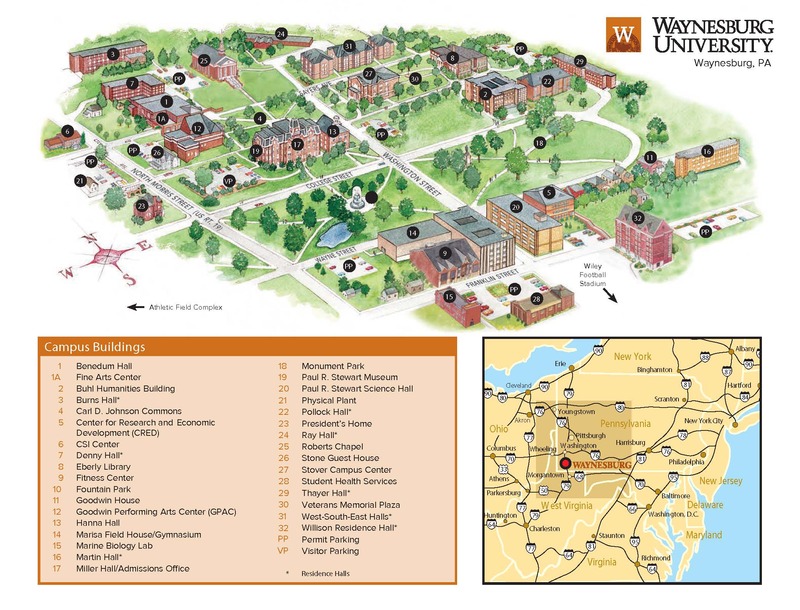 Waynesburg University is closer than you think! Our beautiful rural campus in southwestern Pennsylvania is conveniently located near Washington, PA and Morgantown, WV, while being just about an hour south of Pittsburgh. In addition to main campus, students can attend graduate courses at our three Pittsburgh-area centers and online.